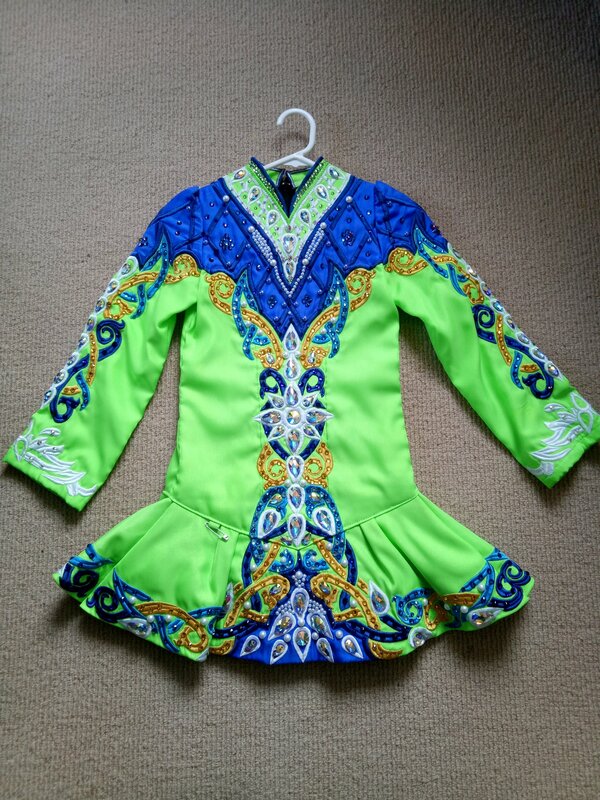 Stunning Eire Designs dress made for the Australian National Championships 2016 and worn by a 2017 World Championships competitor. 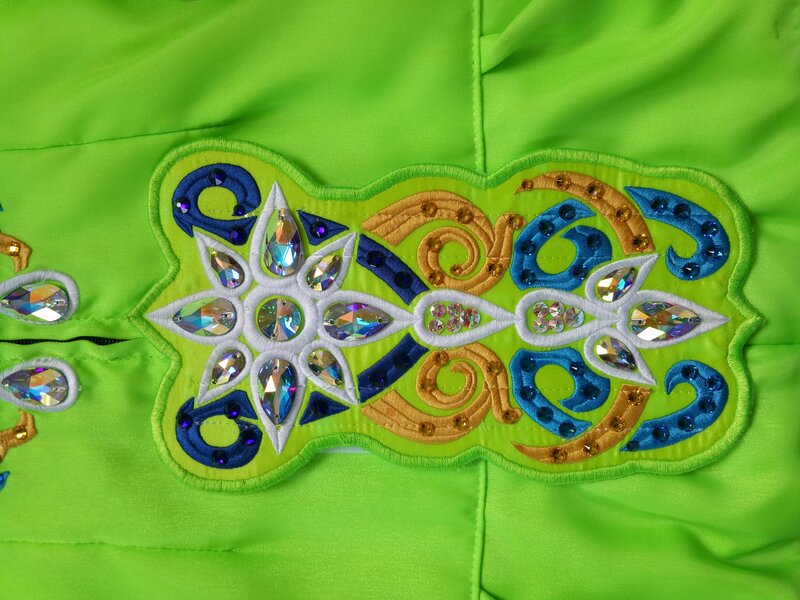 Green with blue and gold Celtic knot work. Light weight and comfortable to wear. 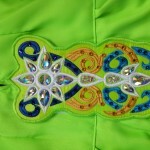 A stand out on the stage with hundreds of swarovski crystals and pearls including large drop crystals down the sleeves and front. 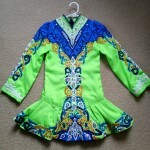 Matching blue bloomers and a green hair piece to match. In excellent condition and room for let out. Asking Price: $1,000 AUD. Shipping costs are included for my own country, overseas shipping is extra. Sale is final.